The ubiquity of smartphones and their increasingly capable cameras has not only led to a boom in digital photography but also to a rather steep decline in digital camera sales since 2010. According to new data published by photo-sharing platform Flickr, smartphone cameras accounted for 50 percent of all pictures uploaded to the site in 2017. 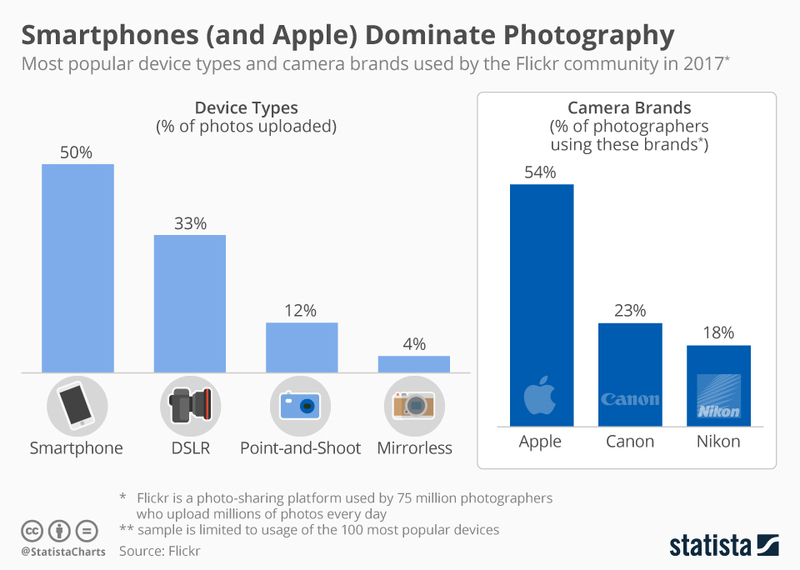 What’s even more impressive though is that Apple’s iPhone is by far the most popular camera among Flickr’s community of hobby and professional photographers, leaving dedicated photography brands such as Canon and Nikon miles behind it. In fact nine of the ten most popular cameras used on Flickr are different iPhone models, amounting to a combined usage share of 54 percent (among the top 100 devices). 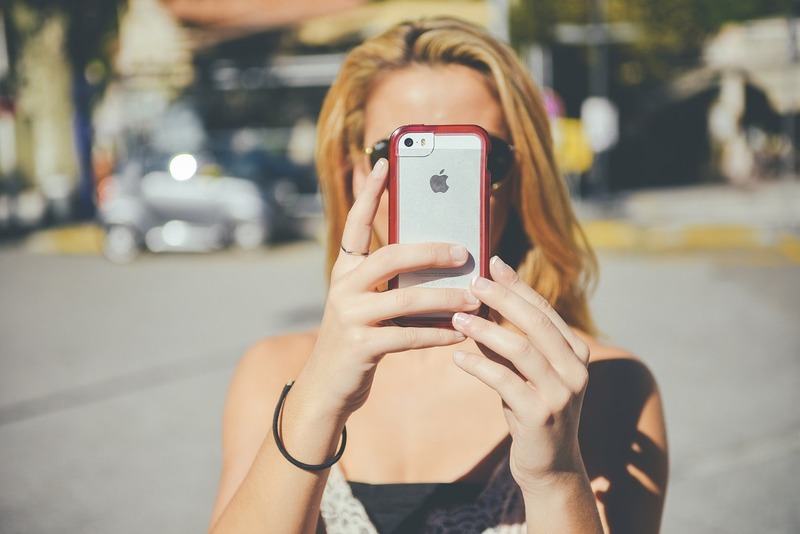 Considering the advancements still made in smartphone camera technology, it is hard to imagine this trend reversing anytime soon. As long as we all carry a smartphone around at (almost) all times, there’s little incentive to pack an extra camera unless you are a professional.